Why Endless? – When Quality is Important. 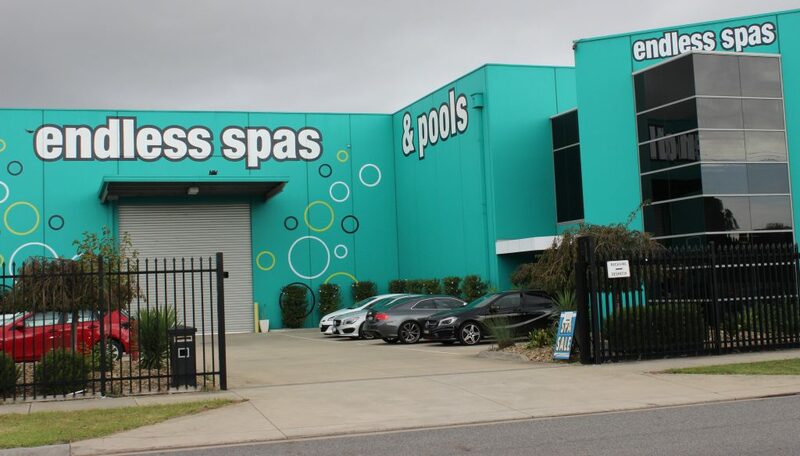 Endless Pools and Spas is an Australian, family-owned business that is proud to engage a team of experts passionate about the relaxing and therapeutic benefits of pools and spas. Our brand reflects the extensive knowledge we have gathered from our experiences about what customers want from their pool or spa retailer. We adapt quickly to the environment; social trends, economic climate, micro economics and our customer’s expectations. Our huge showroom / warehouse facilities in Lynbrook has freeway access to the south east suburbs of Melbourne via Monash, East Link or South Gippsland Hwy, it’s easy for customers to visit. We are open Monday to Saturday and Sundays by appointment. Having a showroom is a distinct advantage for prospective customers, as customers are able to inspect the quality of the pool shells; actually see optional equipment packages. We can also arrange site inspections of our current pool installations. Our brand reflects in the quality of the products we offer. 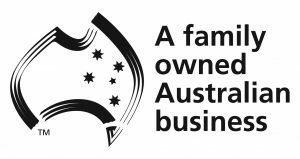 The Endless® fibreglass swimming pools are built by an Australian family owned and operated business Aqua Leisure Technologies, in a world class facility. Our offerings have unique features giving many added benefits to our customers, making them superior to those offered by other pool manufacturers. Ensures a hygienic and safer swim for your family. Pool is self-sufficiently structured and has no need for additional engineering. Pools up to 20% stronger. Warren Anderson, entrepreneur and co-founder of Endless Spas, invented the first ‘Swim Spa’ in the world in the mid 1980’s. Originally manufactured from fibreglass, he embraced the latest spa manufacturing process of vacuuming forming to create the first acrylic swim spa in the world. A ‘swim spa’ is longer than a typical spa and less deep than a typical swimming pool. These pools are manufactured in Australia under the Endless® brand and belong to the “Supersonic” pool range; models called the Sabre, Hornet, Mirage and Raptor. Today they are promoted as plunge pools. Options are still available to turn them into “Swim Spas” by adding “swimming on the spot’ and hydrotherapy. This pool has become a very popular choice for people who wish to escape the summer heat and cool down, those who want to exercise and or swim, especially when their backyard space is very limited.It also suits customers with a limited budget. The volume of water in this plunge pool can be up to 10 times less than a traditional pool and as a consequence, water can be heated quickly and relatively cheaply for both exercise and spa therapy every day. Sizes typically range from 4 – 6 metres long and 2.3 metres. What swimming pool models are available? 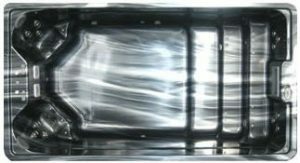 What acrylic plunge pool models are available? 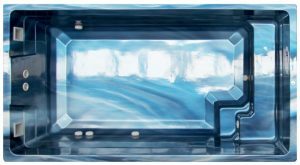 Supersonic pools are a collection of acrylic plunge pools / swim spas. They are different to swimming pools in regard to the depth; they do not have a deep end. There are four models available and are all the same size. The advantage of a swim spa is that they are cheaper to buy and install. What pool and spa combos are available? A pool and spa combo allows users to enjoy a swimming pool or swim spa and then switch over to a spa for some relaxation. They both have separate temperatures that can be controlled by the user. The spa shell and equipment require onsite installation. The shell is inserted either totally or partially into the ground. The In-ground range – It’s all about the finished look. The pool shell and equipment are connected before being enclosed within a frame or cabinet. 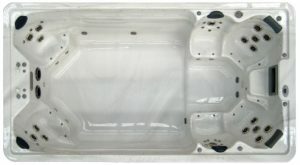 The South Seas range – Amazing entry level spas. The Tropic Seas range – Exceptional value for money spas. The Island range – Stunning designs with the latest technology. The Platinum Elite range – Offers users a personalised spa experience. What optional upgrades are available? Contract information; what’s included and what’s not? Pool shell availability confirmed and proposed installation date. We confirm access to the pool site for manoeuvring our equipment onto the site and around the pool. We confirm access for the pool placement by crane trailer or truck crane. We confirm slope of land and soil type. We confirm access to the pool site for maneuvering our equipment onto the site and around the pool. Why Use a SPASA Contract? Many contracts can be confusing, or in the case of unregistered pool builders, you may even find there is no contract. Only SPASA Pool Builder Members can issue you with a SPASA Contract – a consumer friendly and easy to understand contract for the construction of your swimming pool or spa. The SPASA Contract is tailored for pool and spa construction and provides the latest consumer protection. Pool Builder Members of SPASA pride themselves in offering a total service. This begins with discussion regarding your needs, through to advice on the type of filter, water sanitising and ongoing maintenance programs to suit your budget. SPASA Pool Builder Members will obtain the necessary permits, undertake the complete construction, fill the pool and correctly balance the water in it. A growing demand on pool builders for assistance in landscaping and lighting has led to them acquiring considerable design and construction skills in these allied areas. Many intending owners find it convenient to leave everything to their pool builder. Discuss your needs with a SPASA Pool Builder Member. A condition of membership is that SPASA Pool Builders Members must adhere to ever-changing pool building standards published by the Standards Association of Australia and the Building Code of Australia – your assurance of the use of quality materials, workmanship and safety.